"Bitácora 3. 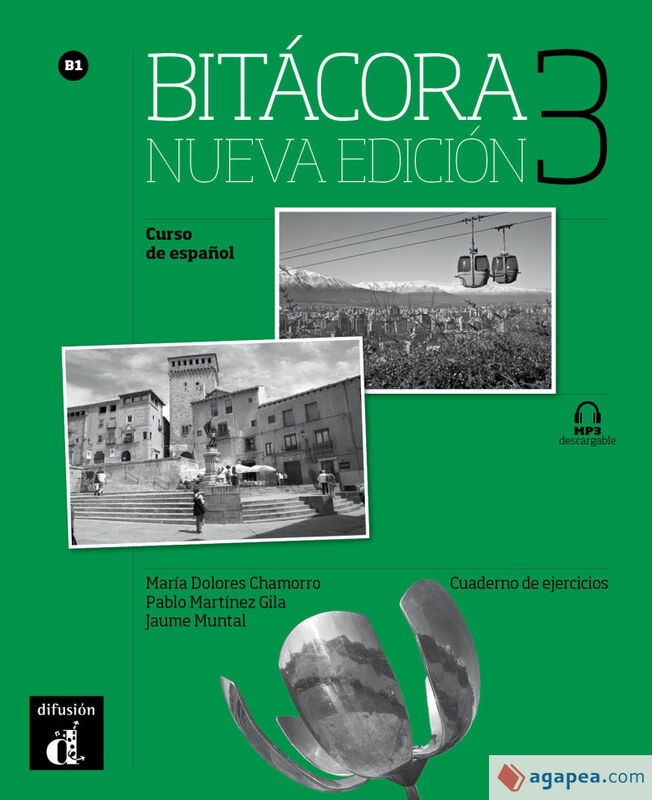 Nueva edición is the third level of this modern and innovative coursebook that allows easy and simultaneous work around three axes: lexical approach, action-based approach and development of student's autonomy. El autor de BITACORA 3 NUEVA EDICION CUADERNO EJERCICIOS MP3 DESCARGABL, con isbn 978-84-16-65753-7, es Aa.vv, esta publicación tiene ciento sesenta páginas.